I do not think I could ever see myself driving anything larger than a BMW 5-series or Acura RLX. Giant luxury barges really are not my thing. These are cars that are expected to be more comfortable in the back than in the driver's seat; a car you would own if you had a driver to shuttle you around in. While the Kia K900 was never on my radar, the opportunity to have a Kia employee drive one to my front door to test drive one came up. Hey, if they are willing to bring the car to me and allow me to test it around my neighborhood, why not? During our visit to the Los Angeles Auto Show in November, East Brother and I spent some time at the Kia test drive event driving the new Soul EV. Also at the event was a K900 "product specialist" who was signing people up for personal test drives of the Hyundai Equus based K900 luxury sedan. 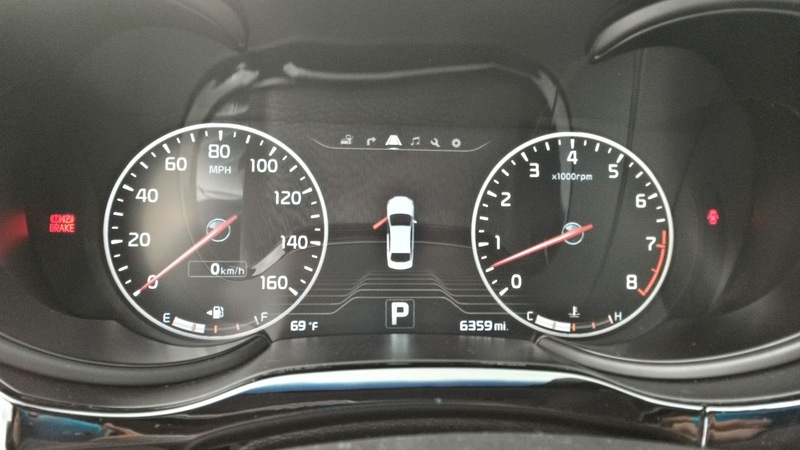 While our original intention was to test the K900 at the auto show, both East Brother and I figured an extended test drive around familiar roads would give us a much better insight to how the K900 performs. 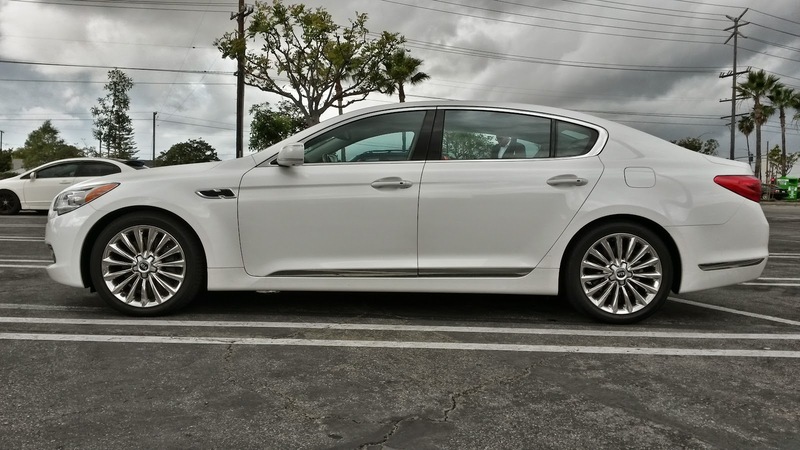 As I walked outside my apartment to meet the Kia employee for my test drive, I could not help but notice how big the Snow White Pearl colored K900 was. Compared to some of the other cars parked out on the street, it was absolutely massive. But despite its large size, the K900 still managed to look very upscale with one glaring exception (we'll get to that in a minute). Its look is definitely much more distinctive than its sister car, the Hyundai Equus, yet it does not scream "hey! look at me!" like some of the other cars in its size class. From certain angles, the car looks great. It is the front of the car that is somewhat questionable in the looks department though. Just like some luxury manufacturers have a corporate front end, the K900 shares its looks with the rest of the Kia lineup. If Kia were a luxury manufacturer, this would not be a problem. 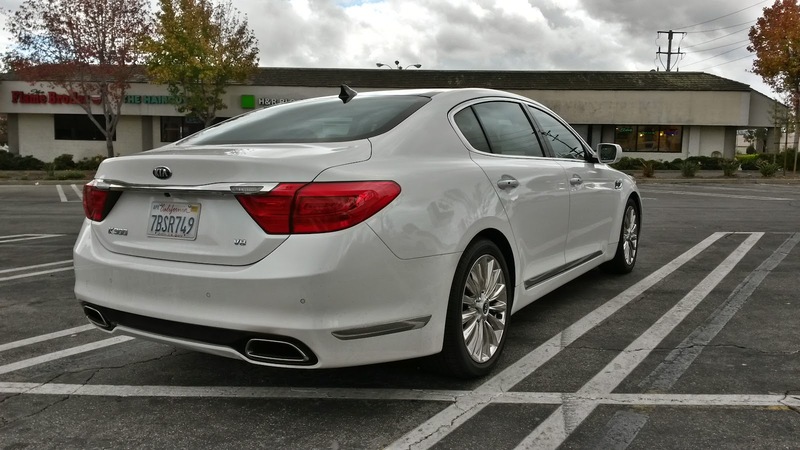 Unfortunately, the K900 looks like a really big Optima with square LEDs at the front. At least sister company Hyundai differentiated the Equus' front end from the rest of the Hyundai line up. Once I got in to the car, it felt decidedly very un-Kia like. It looked and felt just like a very upscale luxury car should: soft and supple leather, nice wood trim all around, high quality plastics, etc. Simply put, it looked and felt just like the Hyundai Equus, of which both East Brother and I praised for its comfortable and quality feeling interior. Sitting in the interior, it felt very familiar. Curious, I did a quick image search of the 2015 Equus' interior. Not quite the same. A little more digging around led me to an image of the 2015 Hyundai Genesis' interior. Ding ding ding! We have a winner! Besides a different steering wheel and higher resolution screen in the Genesis, the K900 and the Genesis have practically the same interior. Simply put, the K900 is Equus size on the inside and outside, with the interior of the Genesis. Sharing an interior with the Genesis is not necessarily a bad thing, considering the amount of tech gadgetry Kia shoveled into the K900. Features such as a heads-up display, digital speedometer and tachometer, and electronic shifter are all present in the car. A 17-speaker Lexicon® sound system provides amazing audio quality that rivals the sound systems equipped in the cars of more established luxury brands. Kia also claims that the car is equipped with "hydrophobic" glass designed to repel water. Though it rained quite hard during my test drive, I really did not notice the glass repelling any of the rain falling onto the car. I suppose you cannot have everything the way you want it. 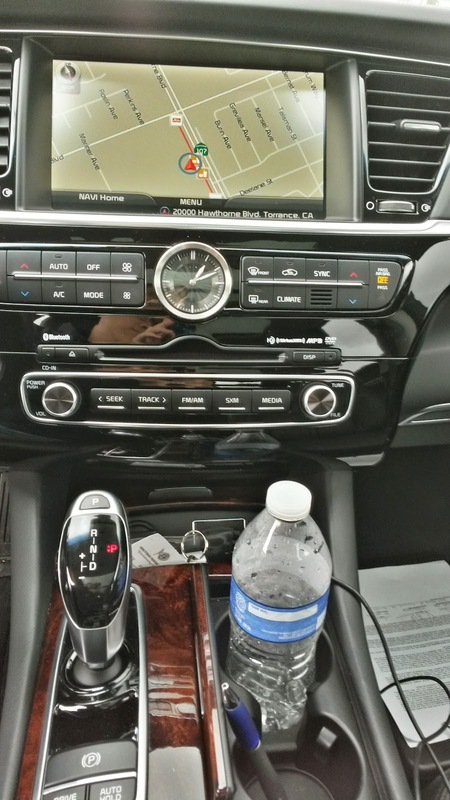 Despite all the tech goodies Kia crammed into this car, there is clearly one area where they decided to skimp: the back-up camera. I do not think I have ever seen a back up camera with such a low resolution. My first exposure to back-up cameras came in the form of the 2005 Acura RL, which at this point is a ten year old car, and even that thing had a higher resolution camera than the K900. The Kia's camera seriously looked like I was looking at the LCD screen on 15 year old camcorder that still uses tapes. Most large luxury barges generally do not drive with much gusto as that is not their primary purpose (super luxury barges like the MB S65 AMG and Audi S8 being the exception). For what the K900 was designed for though, it drives quite well. Hyundai's 5.0 liter "Tau" V8 from the Equus finds its way into car, and offers smooth and quiet power at normal cruising speeds. Step on it, and the 420 horsepower (assuming you have filled the car with premium gas) really gets the big Kia going. The sound from the V8 is also surprisingly pleasant; exactly what you would expect from a luxury car V8: throaty without being too loud. The eight-speed automatic transmission attached to the "Tau" V8 was also quite smooth, at least when left to its own devices. Depending on the drive mode the car is in, shifts will either be smooth or aggressive. Anything beyond "normal" mode though, and the transmission feels clunky and unrefined. Trying to manually downshift is probably not the best idea as downshifts are not rev-matched and cause the car to jerk quite significantly. 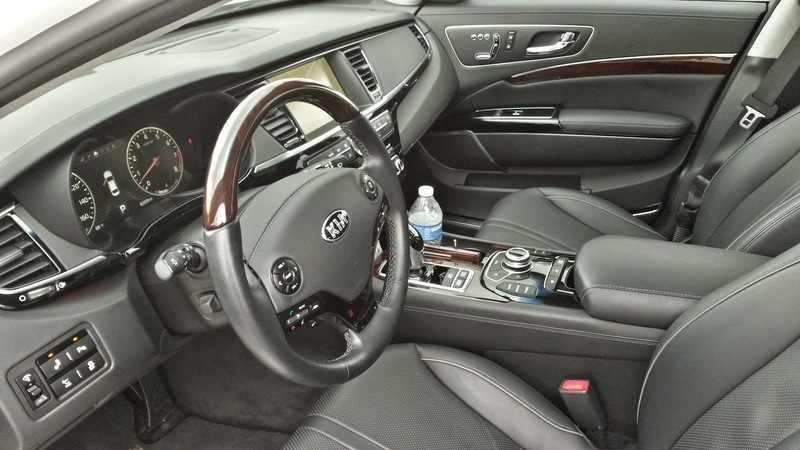 When it comes to handling, the K900 pretty much falls in with the rest of the standard luxury barge crowd. The Kia employee let me drive the car to wherever I chose, so I chose to take the car on my daily work route, where the roads are littered with cracks and potholes. Around town, the K900 rides comfortably and smoothly, soaking up lousy pavement with the greatest of ease. It is when you want the car to hustle that things get a bit dicey. Even in the car's sportiest setting, the K900 could not help but roll and understeer in and out of a corner. Of course, this was not what the K900 was designed for, so I could not really ding it for wanting to kill me while trying to hustle it around a corner like a sport sedan. At least it handles long, sweeping freeway on-ramps without any issues. Kia's slogan for the K900 is "Challenge the Luxury You Know." You know Kia is definitely trying to get people to challenge their notions of luxury when they hire Laurence Fishbourne to reprise his role as "Morpheus" from The Matrix for the sole purpose of a Super Bowl ad. The message I get from this ad is that the American perception of luxury is based on a lie and is merely a product of the big and popular luxury car manufacturers. In this case, Morpheus represents Kia trying to take you out of the lies of big luxury, or in this case, the Matrix. It is an interesting ad, and I certainly see what Kia is trying to get at, but will it help sell cars? Overall, the K900 is a pretty good car for what it was designed for. It is comfortable, has plenty of tech goodies, has ample power, and is far more luxurious than I had imagined. Unfortunately, all these good points are not going to change the fact that, like the Equus, it probably will not sell well. Why? It is quite simple, really. The average luxury car buyer looking for a large sized luxury sedan to be shuttled around in would never even consider a Kia simply for the fact that Kia is not a luxury brand. And because Kia is not a luxury brand, the average joe would find it difficult to justify spending $54,000 on a Kia. The ultimate question though is whether or not the K900 genuinely "challenges the luxury you know." 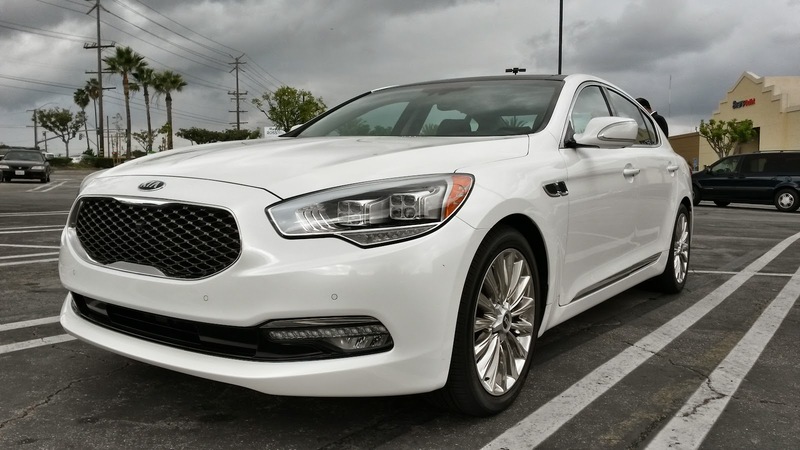 To me, I feel like the K900 certainly challenges my preconceived notions of luxury. This is a car that, despite not being sold under a dedicated luxury brand, certainly has the qualities of what makes a large sedan luxurious. But just because I feel this car meets that criteria, does not mean that others will feel the same way because of the lack of a luxury brand badge, and it is a damn shame.